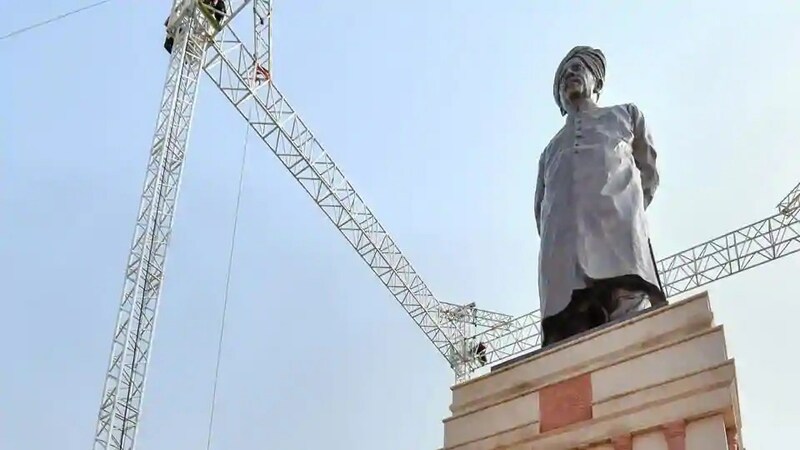 Prime Minister Narendra Modi has unveiled a 64-foot-tall statue of peasant leader Sir Chhotu Ram at his native village Sampla in Rohtak district of Haryana. The statue has been sculpted by renowned sculptor and Padma Bhushan-recipient Ram Vanji Sutar. Sir Chhotu Ram had fought for farmers’ rights during the British rule. He was given title of Sir in 1937. He was co-founder of National Unionist Party ((Zamindara League)) which ruled United Panjab Province in pre Independent India. He was popularly known as Deen Bandhu. World Post Day is observed every year on October 9 to spread awareness about the postal services and their role in the everyday lives of people and business. The day is celebrated to mark anniversary of the establishment of the Universal Postal Union (UPU) in 1874 in the Swiss Capital, Bern. The 2018 theme is: “Imagine you are a letter travelling through time. What message do you wish to convey to your readers?” World Post Day was instituted at UPU Congress held in Tokyo, Japan in 1969. Indian Postal Service is the largest postal network in the world. Union Ministry of External Affairs (MEA) has launched India for Humanity initiative to commemorate the 150th birth anniversary of Mahatma Gandhi and honour of his service to humanity. It will feature year-long series of artificial limb fitment camps in a number of countries spanning globe with an aim to provide physical, economic and social rehabilitation of differently-abled around world by helping them regain their mobility and dignity to become productive members of the society. For this initative, MEA has collaborated with charitable organisation Bhagwan Mahaveer Viklang Sahayata Samiti (BMVSS). Indian Air Force (IAF) on the occasion of its 85th anniversary on 8 October launched ‘MedWatch’ mobile health app to provide health information to users, including first-aid and other health and nutritional topics. It is first of its kind mobile health app built by any of the three armed forces. The app was conceived by doctors of IAF and developed in-house by Directorate of Information Technology (DIT). India’s first ever National Environment Survey (NES) will be kicked off in January, 2019 to map environment data of 55 districts across 24 states and 3 Union Territories. The NES will rank all districts on their environmental performance and document their best green practices based on various environmental parameters. The earliest first set of complete green data from this survey will be available in 2020. The first NES will be carried out by Ministry of Environment, Forests and Climate Change (MoEFCC) through Environmental Information System (ENVIS). Ministry of Environment and Forests and Climate Change (MoEFCC) and World Bank Report have jointly released report on Strengthening Forest Fire Management in the Country. The report discusses policies on forest fire prevention and management (FFPM) at national, state and local levels. Forest fires are leading cause of forest degradation in India. Just 20 districts mostly located in Northeast India account for over 40% of all forest fires detected between 2003 and 2016. Similarly, top-20 districts mainly in Central India account for about 48% of total fire-affected area. The Union Cabinet chaired by the Prime Minister Narendra Modi has approved the Memorandum of Understanding (MoU) between India and Lebanon for cooperation in the field of agriculture and allied sectors. The agreement will promote understanding of best agricultural practices in the two countries and will help in better productivity at farmer fields as well as an improved global market. The Union Cabinet has given its ex-post facto approval to the Memorandum of Understanding signed between India and Romania in the field of tourism. The MoU was signed in September 2018 during the visit of the Vice-President of India to Romania. The main objectives of the agreement include expanding bilateral cooperation in the tourism sector, exchanging information and data related to tourism and encouraging cooperation between tourism stakeholders including hotels and tour operators. The Union Cabinet, chaired by the Prime Minister Narendra Modi, on October 10, 2018 approved the merger of the National Council for Vocational Training (NCVT) and the National Skill Development Agency (NSDA) to establish the National Council for Vocational Education and Training (NCVET). NCVET is envisaged as an institution which will perform the regulatory functions so far vested in NCVT and NSDA.